The iWitness books are intended to engage children in learning about the Bible, in a visually appealing and non-intimidating way. They have a reading level appropriate for around ages 11 and up. These books are presented as a series of hand-written documents with lots of pictures, which really do pique interest and invite further exploration. 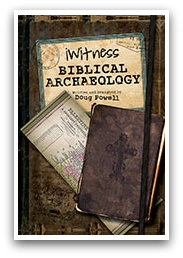 Doug Powell, Apologia's art director and author of the iWitness books, mentions in this interview that these are intended to be interactive books - the information is presented, and the reader is asked to think through it. He said these are the books he wishes he could have read for the answers to questions he had. iWitness Bible Archaeology talks about the archaeological discoveries that correlate with or illuminate biblical history. There is some great stuff in here! 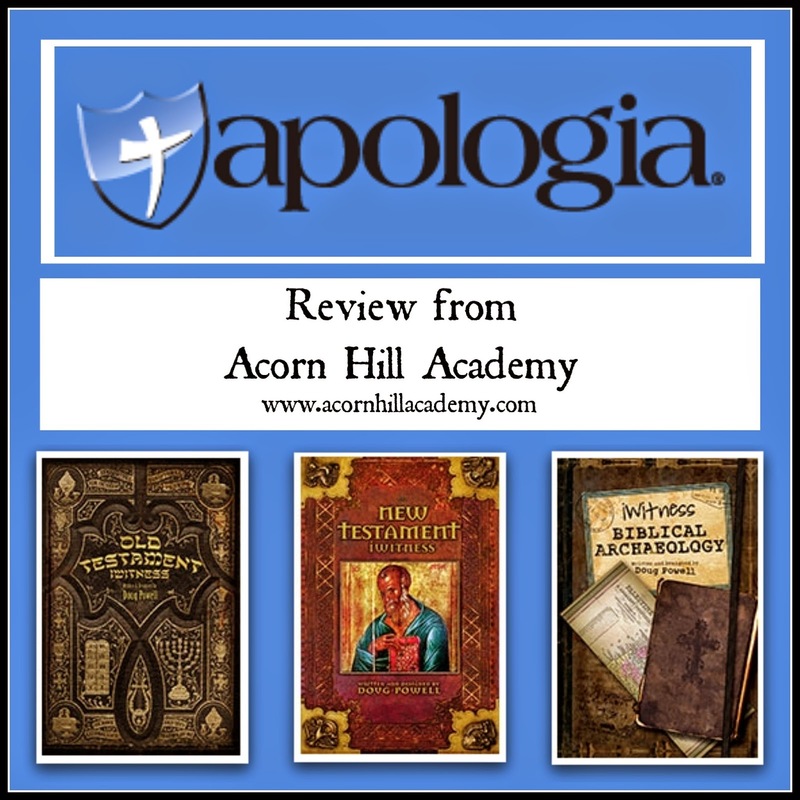 We learned about the different accounts of the flood, Egyptian chronology, and where different manuscripts of both the Old and New Testaments have been found, just to name a few topics. I was particularly interested in the part about all the places Hadrian had filled in, such as the cave where Christians believed Jesus was born, and then Constantine dug them all back out and had them protected. 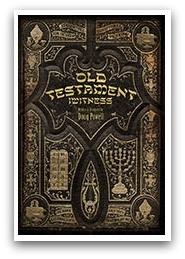 Old Testament iWitness presented how the Old Testament books were chosen, the process for copying them. It was interesting to see how the Hebrew Bible is different from what I know as the Old Testament. We learned some new words, too. I had heard of the Septuagint, and the Torah, but we learned together about the Tanakh, or the Hebrew Bible, as well as the Nevi'im, and the Ketuvi'im, which are divisions of the Hebrew Bible along with the Torah. We also learned about the Apocrypha, what exactly it is, and why the Roman Catholic and Orthodox churches include it in their Bibles. 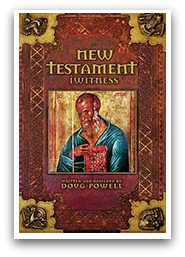 In New Testament iWitness, we read about how the books in the New Testament were chosen, which books were not included, and why. We learned about early theologians, the church fathers, and the Apostolic Fathers. We saw a timeline for when the New Testament books were probably written. I knew some things we read, and we'd studied some of the people, but there was also a ton of new information presented in here. My teenagers were able to go through the books on their own, but in general, we chose to go through them together, along with my 7 year old, during our daily morning time together. We would sit together and look at the pictures, read the information and discuss, and the kids were free to take the books and look at them after. There is so much detail, and so many beautiful pictures, they're fun to go back to again and again. These books were great family devotional material for us, and I could see them being fun for use with a youth group or Sunday school class. I really like that the information is presented in such a way that the reader has to think through the material for themselves and draw their own conclusions. There is no "obviously, this is the truth" or "clearly you will believe this way after reading this book" here. That's why they make for such great discussions. Just looking at Egyptian chronology in the archaeology book kept us busy for quite some time. I find that having this kind of historical information adds a new and helpful dimension to reading and learning what the Bible says. My children enjoyed reading through them with me, and I love that they (and I) have this information under their belts now. There was very little about these books that we didn't like. The only issue we had was that my very visual daughter found them a bit overwhelming. Each page spread is presented as if it has several hand-written documents on it, which is interesting and cool, but can be difficult to read. These books were, for us, better taken in smaller chunks rather than reading straight through. It wasn't a problem, it's just that my visual child was not interested in looking through them on her own, so we went through them together. Overall, I thought these were excellent books. Although they are relatively thin paperback books, there is more information presented in them than I could possibly share with you, and it's fascinating reading. They stand alone, or make a great jumping-off place for more research if you find you want to know more. Each book has a good bibliography in the back. You can follow lots of rabbit trails with internet searching, too. In addition to the three books we received to review, there are two other iWitness books currently available: Jesus iWitness and Resurrection iWitness. There are also two new books planned for 2015 - iWitness World Religions and iWitness Heretics and Cults. Exciting stuff!